Acorn Hill Academy: It's That Time of Year - Get Started With Motivated Moms! It's That Time of Year - Get Started With Motivated Moms! I am by no means an excellent housekeeper. I can clean things, but when it comes to keeping up with All The Things around my house, I am easily overwhelmed and distracted. I tend not to see clutter until someone comes over. I'm working on it, but it seems like a never-ending battle sometimes, you know? One tool I've found that helps keep me on track is the Motivated Moms planner. Every day, I get a new list of tasks to complete. There are Daily Tasks that never change, and then other things that might be weekly, monthly, or annually assigned. You will see everything from "change dishcloth and towel" to "make vet appointments." This is good stuff, folks. I am not a MUST FINISH EVERYTHING kind of gal, honestly, and I don't feel too badly if something gets missed now and then. If I wonder what I didn't get done, I can go back and review past days. When I find myself in a muddle, not quite sure what to do next, I can look at the Motivated Moms list and get some direction. They even have "Spend time on a craft/hobby" scheduled on Fridays. I love that! The fabulous people at Motivated Moms have put together quite a comprehensive list of chores, but you can also edit the list. For example, they have "feed pets" on there, but we have cats, and litter boxes that need cleaning. I always add that one. And, of course, you can see everything at once. 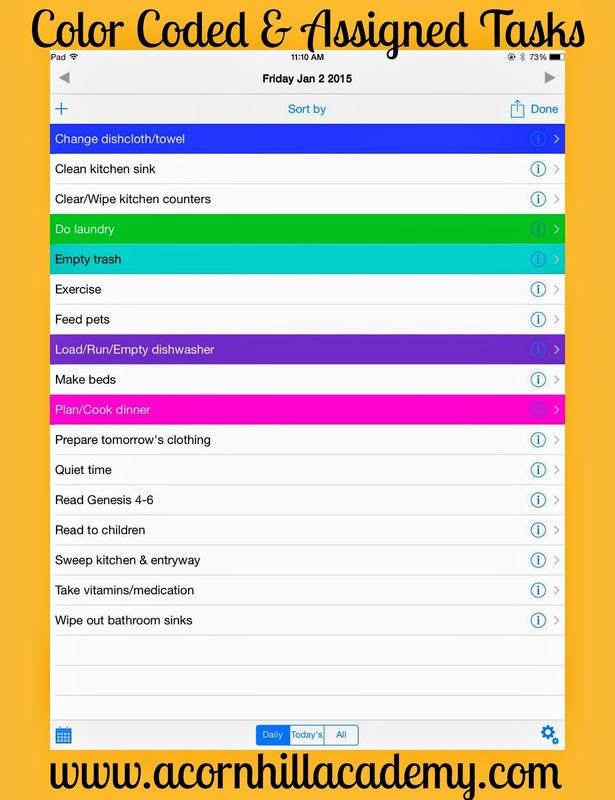 One of the best features of the app is that you can assign a color to each person in your family, and they can see which chores are assigned to them each day. In my sample screen, below, you can see what everyone is supposed to do. There are unassigned chores, and I haven't decided if I will make those "up for grabs" as people have time, or if I will assign them. I will probably end up assigning them, because my children are really good at playing the "I didn't know it was MY job" game. Heh. There are many options for the Motivated Moms planner, so you can choose the one that suits you best. I've used both printed and app versions, and have finally decided to stick with the app. I thought I preferred the printed planner, but I don't have a great place to keep it in sight and it gets moved around and misplaced. 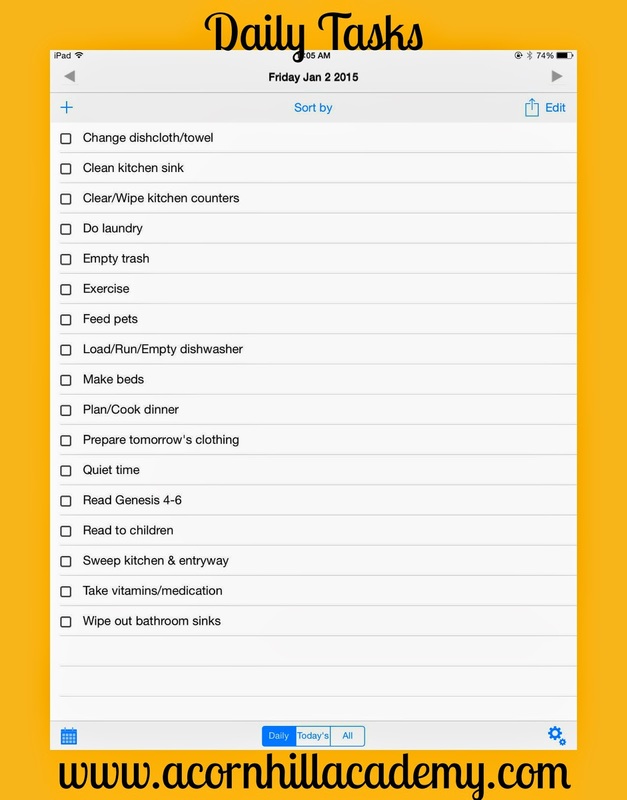 All of my children have their own iPads (I know, I know, but my husband used to work for Apple and we are an extremely techie family), so it's amazingly convenient to assign chores in my app and then synch with theirs. 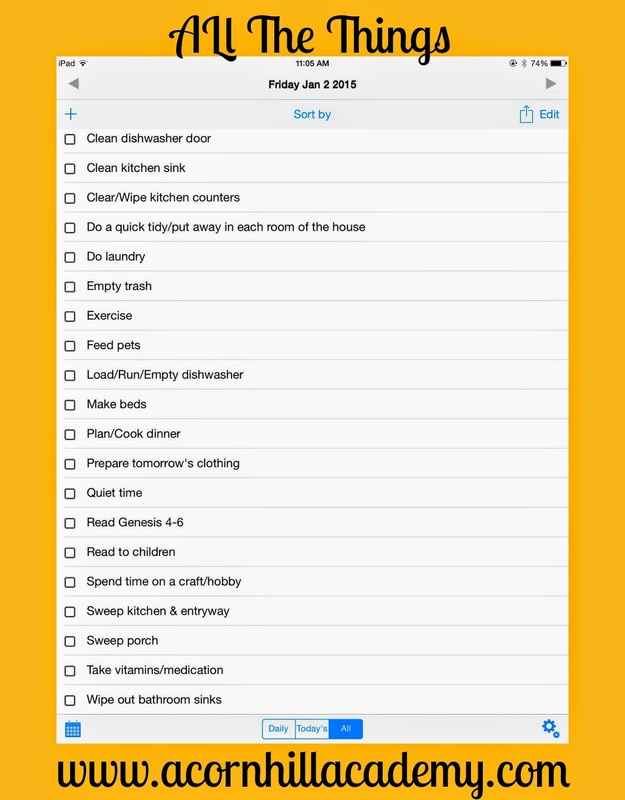 Since they each have their own list available, they have no excuses not to get their chores done. It works really well for us. When you purchase the app ($1.99), it comes with two months of preprogrammed tasks, which don't expire until you use them. How do I know this? Apparently I bought the app last year and forgot to use it. I had the printed version, too, though. I did. Really! You can check out my review if you don't believe me. Already have the app? Don't forget to purchase your updated 2015 subscription ($7.99). You won't lose any of your current subscription (mine is now good for the next 425 days). You also have the option to purchase your subscription monthly if that suits you - $0.99 per month. I am pretty sure I would forget, although I would remember as soon as I ran out of days, I suppose, but I like to get it out of the way (and it's a lot cheaper, too). If you would like to try the app before you purchase, and see how it works, check out Motivated Moms Lite (Apple and Android). 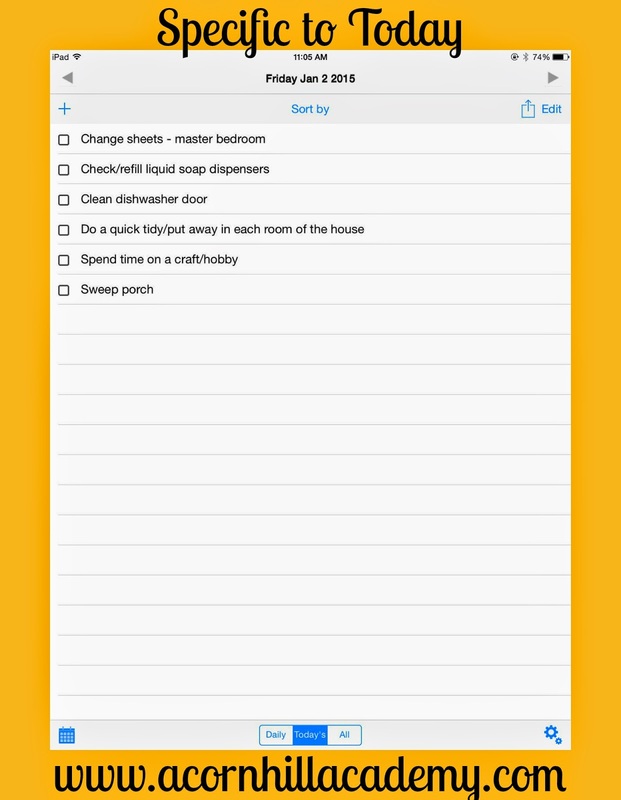 The Lite version of the app comes with 2 weeks of preprogrammed tasks, so you can see how you like it. The ebooks are available for $8.00, no matter which format you choose. So, while I kinda missed the *brand* new year, it's not too late for you to get started with Motivated Moms. You won't be sorry!